Dr. Mahmoud Afifi, Head of Ancient Egyptian Department announced the discovery of an intact burial in Aswan. 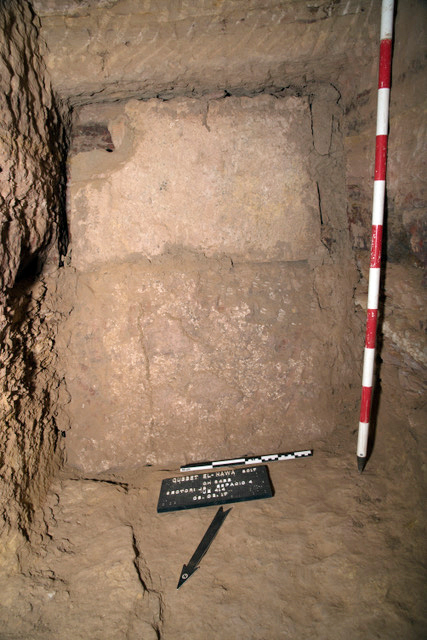 The Spanish Archaeological Mission in Qubbet el-Hawa, West Aswan, has discovered an intact burial chamber. 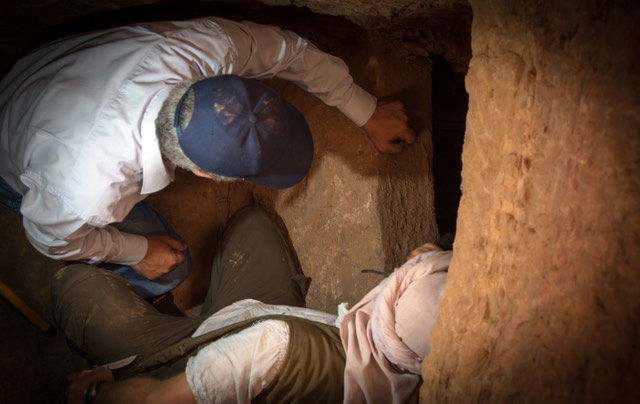 The discovered burial belongs to the brother of one of the most important governors of the 12th Dynasty (middle Kingdom), Sarenput II. Nasr Salama, Director of Aswan Antiquities said that the present finding is unique because it has been located with all the funerary goods, which consist of pottery, two cedar coffins (outer and inner) and a set of wooden models, which represents funerary boats and scenes of the daily life. Dr. Alejandro Jiménez-Serrano, Director of the Spanish mission of the University of Jaen, said that a mummy was also discovered but still under study. 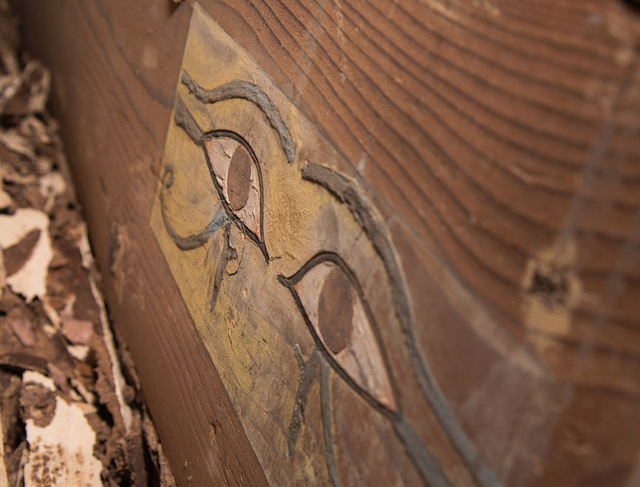 It is covered with a polychrome cartonnage with a beautiful mask and collars in good condition of preservation. The inscriptions of the coffins bear the name of the defunct, Shemai followed respectively by his mother and father, Satethotep and Khema. The latter was governor of Elephantine under the reign of Amenemhat II. Dr. Alejandro Jiménez-Serrano explained that Sarenput II, the eldest brother of Shemai, was one of the most powerful governors of Egypt under the reigns of Senwosret II and Senwosret III. Apart from his duties as governor of Elephantine, he was general of the Egyptian troops and was responsible of the cult of different gods. The director of the mission added “This discovery, the University of Jaen Mission in Qubbet el-Hawa adds more data to previous discoveries of fourteen members of the ruling family of Elephantine during the 12th Dynasty. 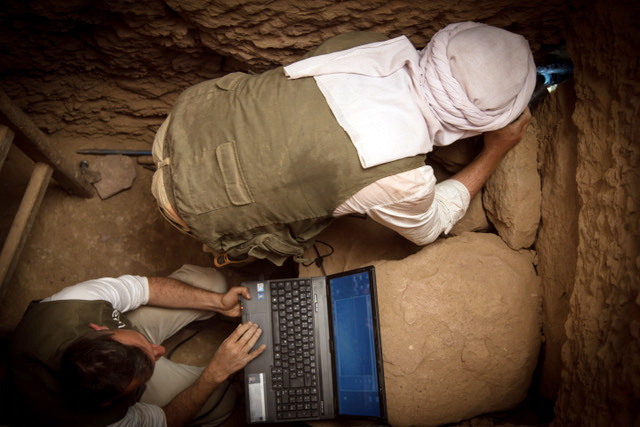 Such high number of individuals provides a unique opportunity to study the life conditions of the high class in Egypt more than 3800 years ago.